Steven (Chicagoland, United States) on 3 August 2017 in Plant & Nature and Portfolio. 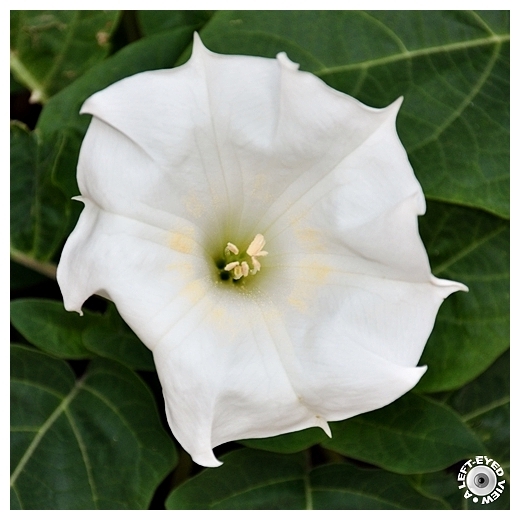 Trumpet flower in full bloom only hours after being in this state. Photo captured July 4, 2017. It's interesting to see the follow up to yesterday's image. Magnífica captura de la flor, con genial nitidez, colores y luz. ***** Saludos. Another superb image from your series of excellent flowers. The yellow variety is more common here. wow...this is beautiful !!! I love these flowers ! A fantastic close-up of this blossom. An excellent picture. Extremely beautiful and sensual... Great shot! This is just gorgeous! I love the white framed by the green! @Harry: I didn't realize it was to be the strongest. Nice. You sure caught the detail in the white. Another beautiful floral photograph. Everything is perfectly well balanced and harmonious. Un format carré qui met superbement en valeur cette belle fleur! A square format that beautifully enhances this beautiful flower!